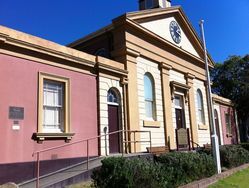 The plaque marks the swtiching on of the Morpeth Courthouse floodlights in May 1990. 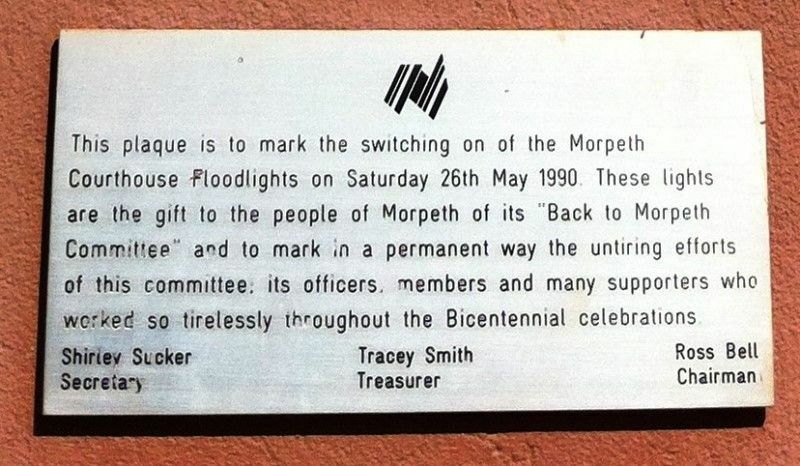 This plaque is to mark the switching on of the Morpeth Courthouse floodlights on Saturday 26th May 1990. These lights are the gift to the people of Morpeth of its "Back to Morpeth Committee" and to mark in a permanent way the untiring efforts of this committee, its officers, members and many supporters who worked so tirelessly throughout the Bicentennial celebrations.